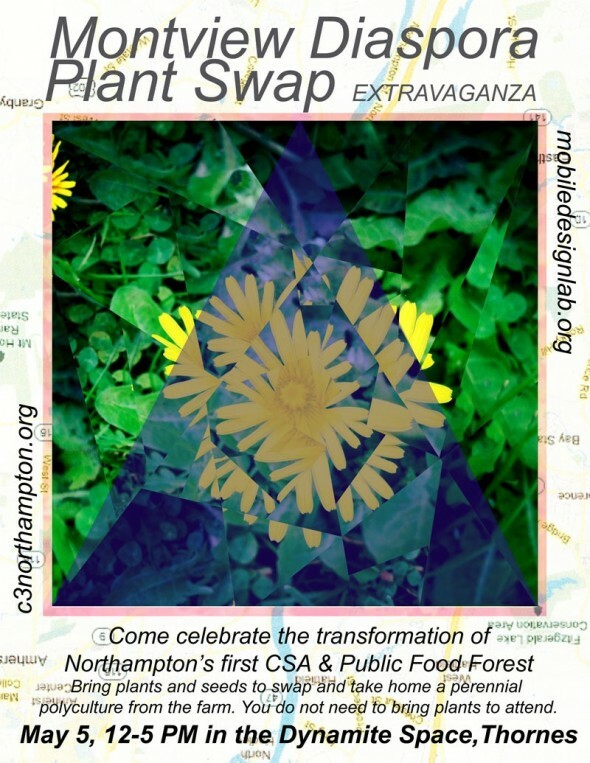 Come celebrate Montview Neighborhood Farm, Northampton’s first CSA and public food forest, and participate in its transformation! Saturday, May 5th from 12-5pm in the Dynamite Space (basement of Thorne’s Market), Northampton, MA. Co-sponsored by C3 and Mobile Design Lab.